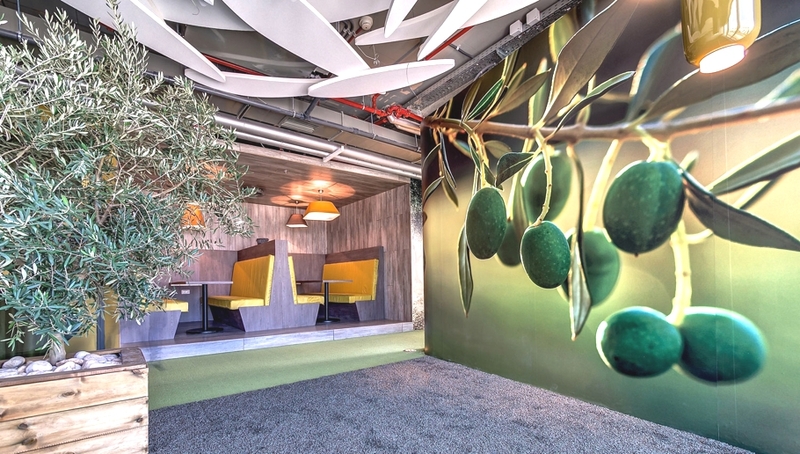 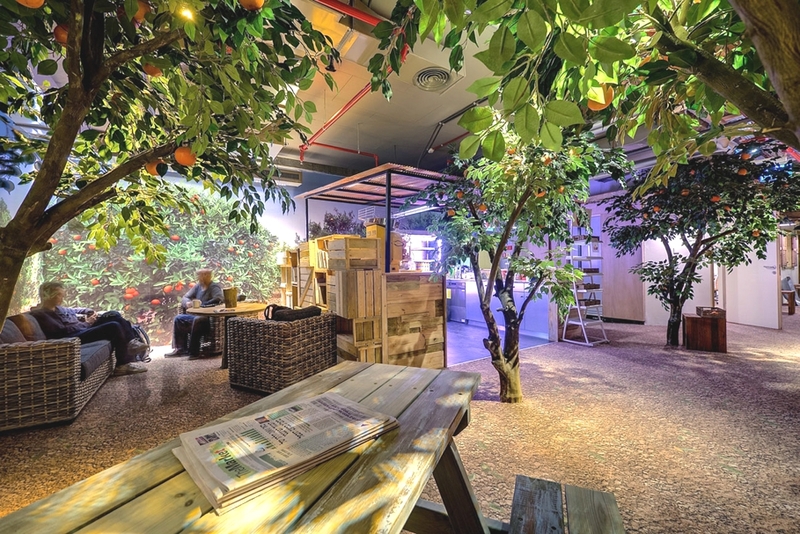 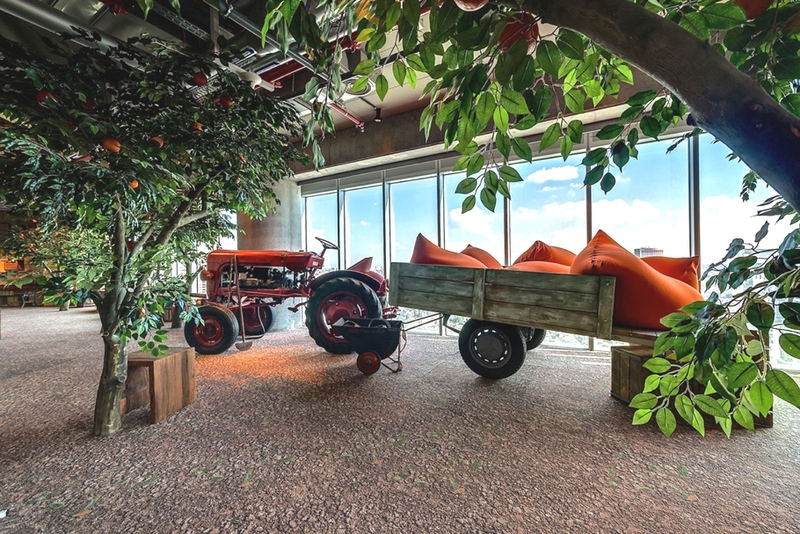 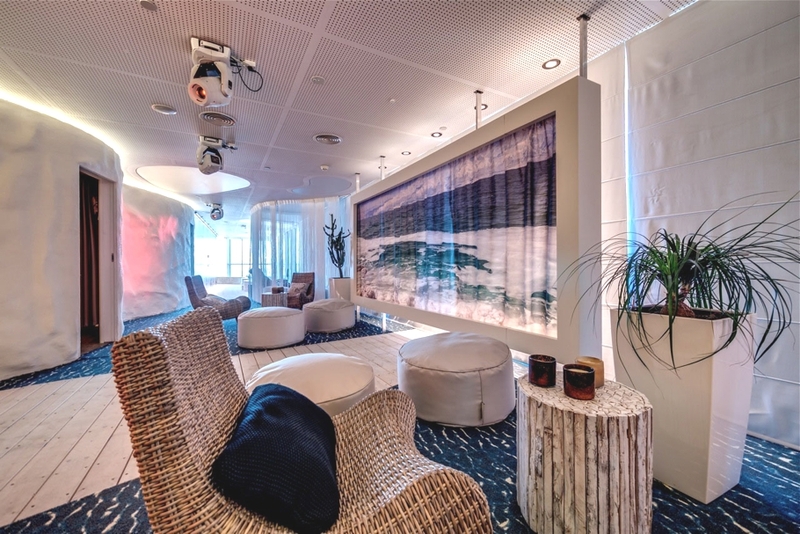 Internet giant Google has unveiled its quirky office design in Tel Aviv, Israel. 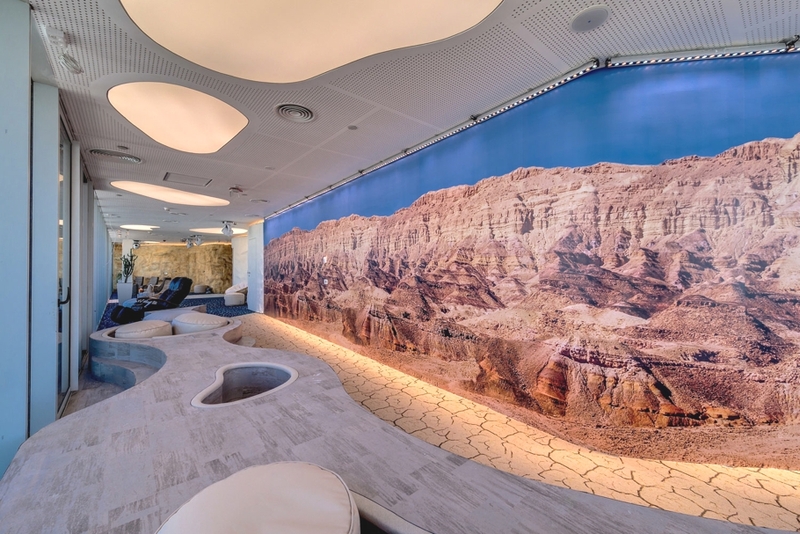 Designed by Camenzind Evolution, in collaboration with Setter Architects and Studio Yaron Tal. 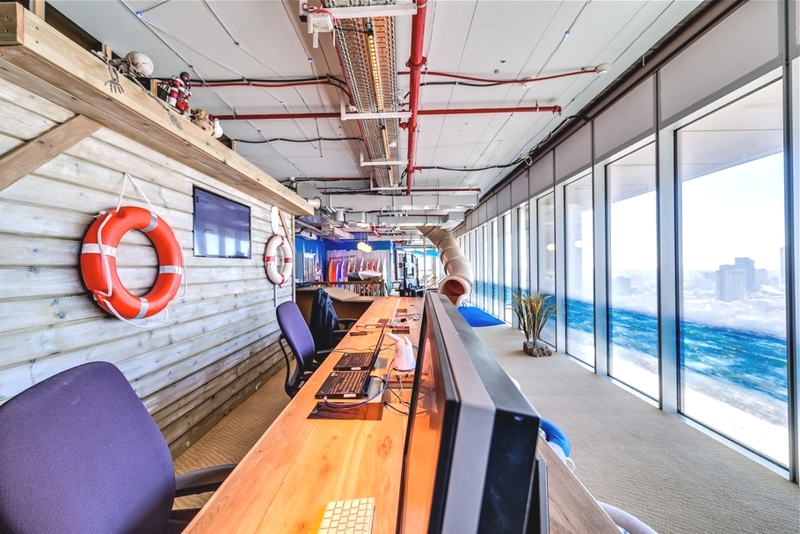 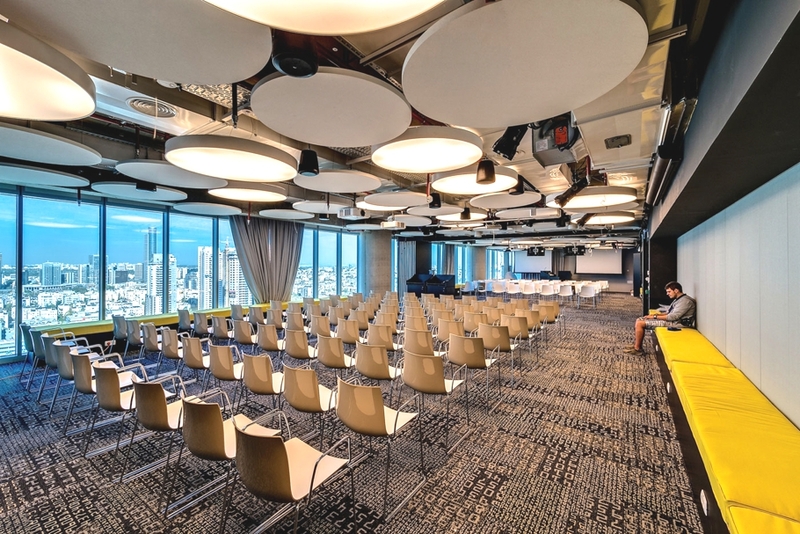 According to the design team: “At the end of December 2012, Google Israel has opened its spectacular new 8’000 m2 offices in Tel Aviv for their ever growing teams of engineers, sales and marketing. 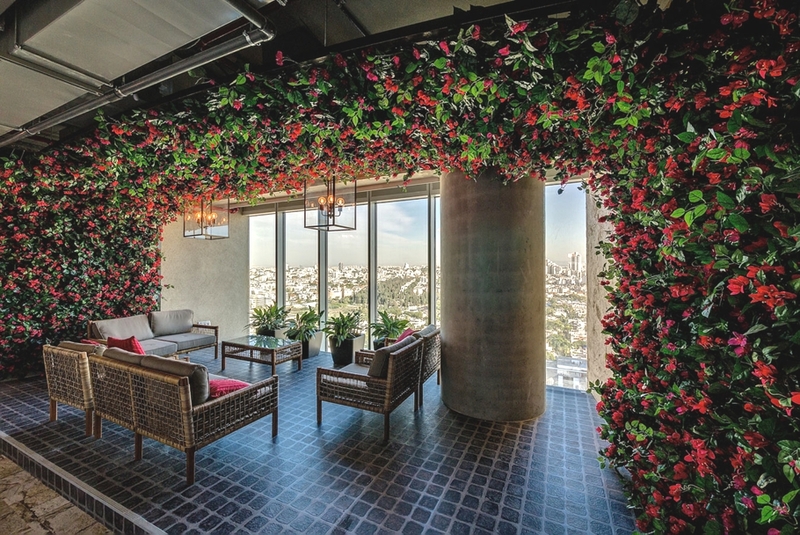 Designed by Swiss Design Team Camenzind Evolution, in collaboration with Israeli Design Teams Setter Architects and Studio Yaron Tal, the new Google office now occupies eight floors in the prestigious Electra Tower in Central Tel Aviv, with breath taking views across the whole city and the sea. 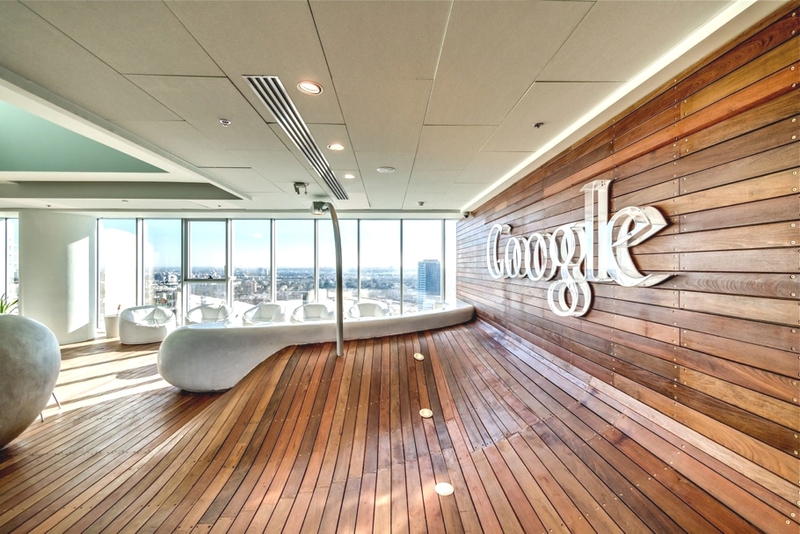 “It is a new milestone for Google in the development of innovative work environments: nearly 50 per cent of all areas have been allocated to create communication landscapes, giving countless opportunities to employees to collaborate and communicate with other Googler’s in a diverse environment that will serve all different requirements and needs. 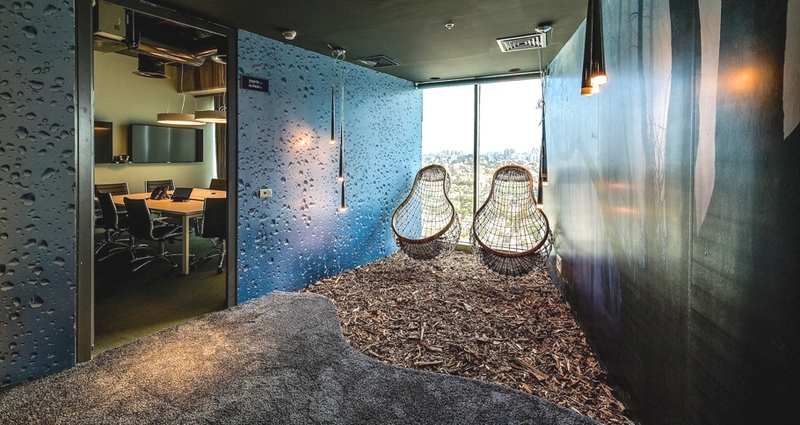 There is clear separation between the employees traditional desk based work environment and those communication areas, granting privacy and focus when required for desk based individual working and spaces for collaboration and sharing ideas. 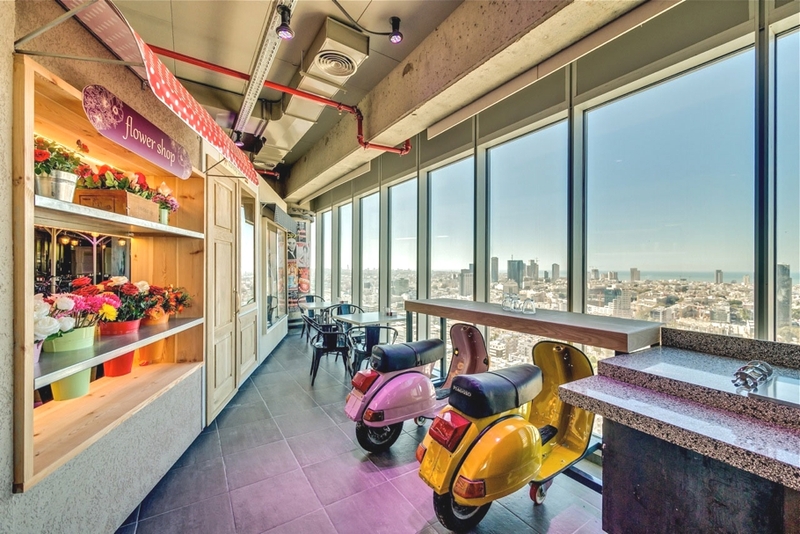 “The interior design of each floor was designed with a different aspect of the local identity in mind, illustrating the diversity of Israel as a country and nation. 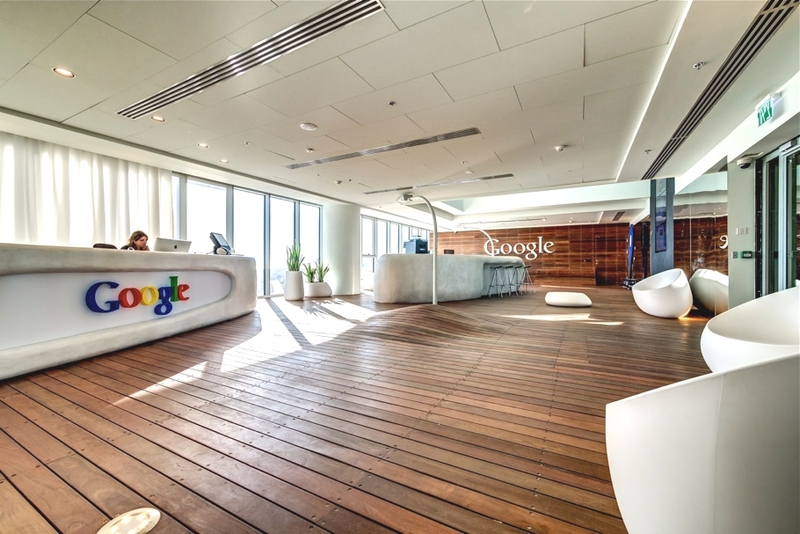 Each of the themes were selected by a local group of Googlers, who also assisted in the interpretation of those chosen ideas. 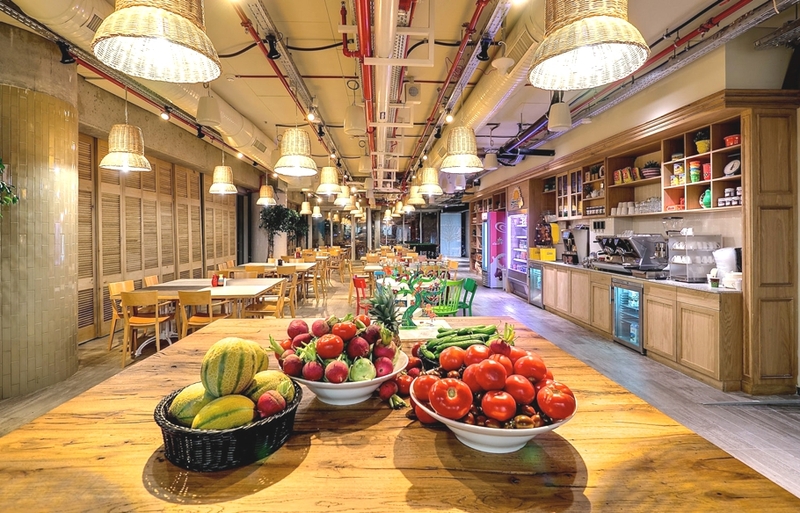 Being in Israel, for lunch the Googlers can choose from three amazing restaurants, non-kosher, kosher dairy and kosher meat, each of the restaurants designed to its own style and theme. 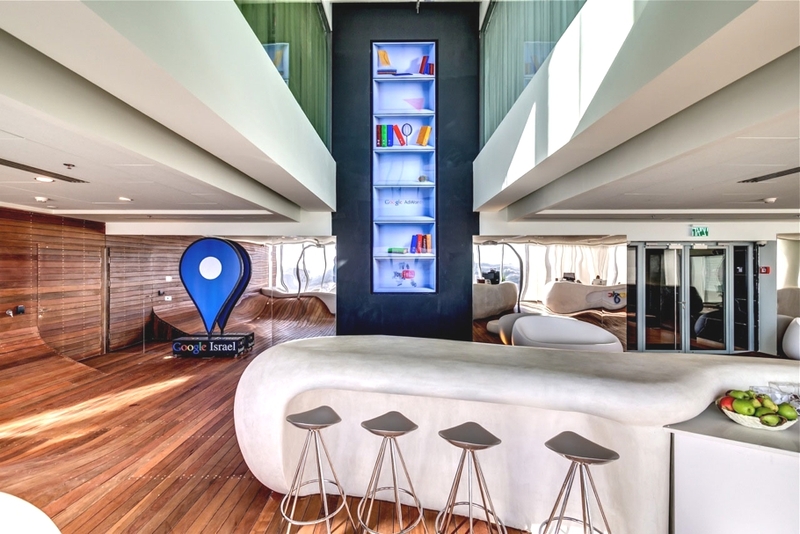 Valencia-based architectural practice, Viraje Arquitectura, has designed the House M03 project. 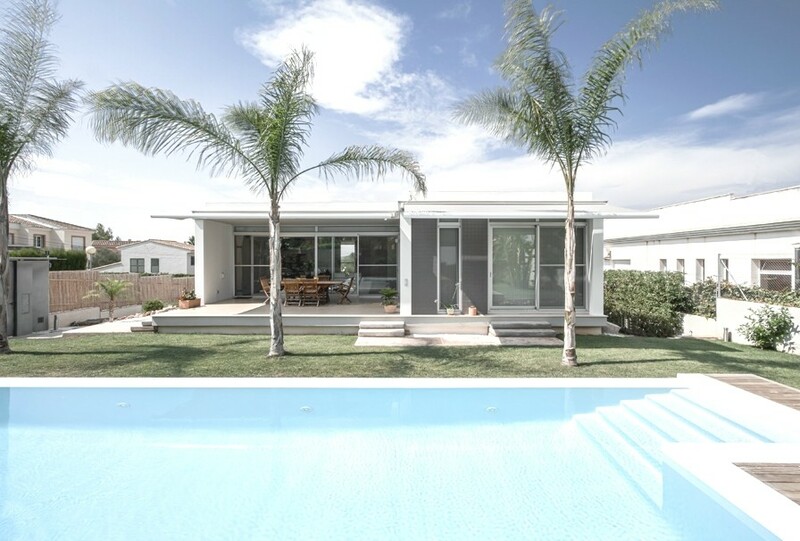 Completed in 2013, the luxury Spanish home is located in La Cañada, Spain. 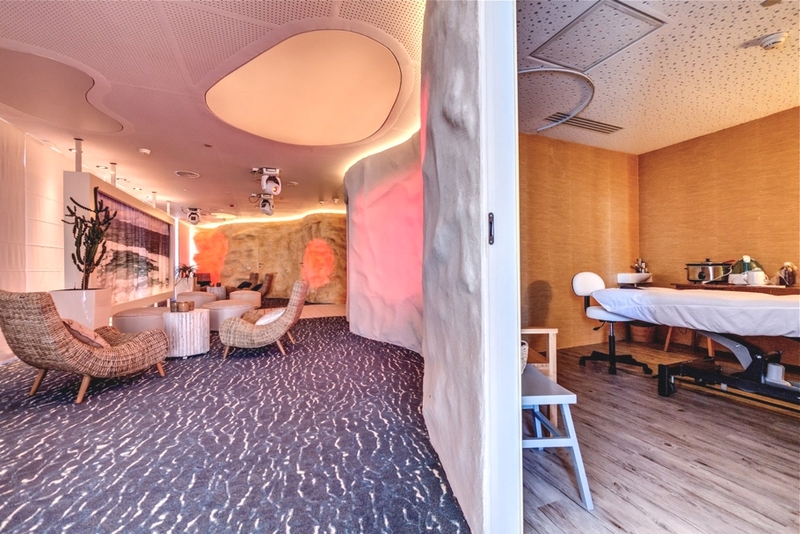 Breda-based architectural practice, Grosfeld van der Velde Architecten, has designed the House L project. 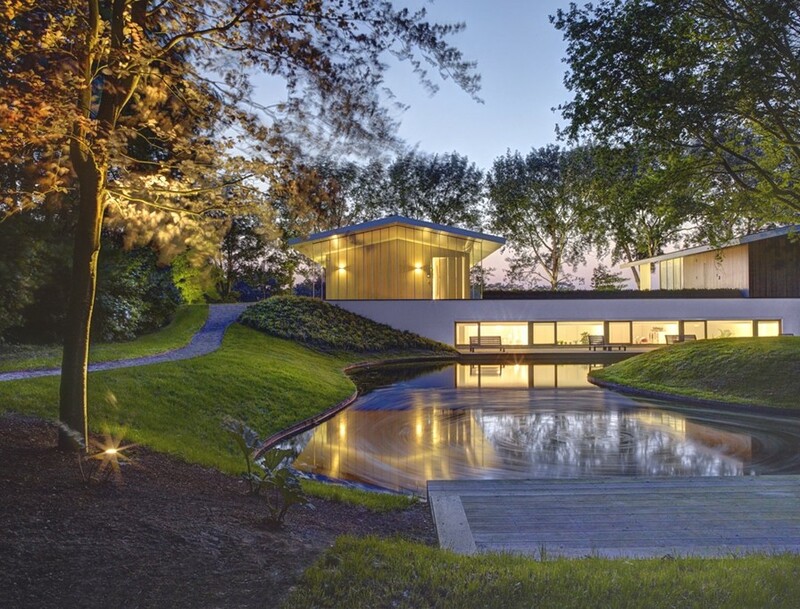 Located in Oosterhout, The Netherlands, the home was built in accordance with its natural landscape.